Chicago, IL, Oct. 14-17—Dordan Manufacturing, a custom thermoformer of plastic packaging and product solutions like dunnage/WIP trays, functional components, and insert trays, clamshells, and blisters, to debut ISO Class 8 Cleanroom thermoforming capabilities at PACK EXPO International. The 57-year old custom thermoformer has built a reputation of design and manufacturing excellence, providing thermoformed packaging solutions to the retail, healthcare, automotive, and industrial end-markets. Family-owned and operated, Dordan has 11 in-line thermoforming machines that convert 75-million pounds of material annually. Providing all thermoform design, tooling, production, and ISO 9001:2015 Certified quality-management services under one-roof, Dordan has complete control over the thermoforming process; this full-service integration facilitates ease of entry into a market that requires adherence to strict quality and transparency processes and standards. With the increasing commodification of retail packaging married with the rise of ecommerce, the function of packaging is rapidly changing. 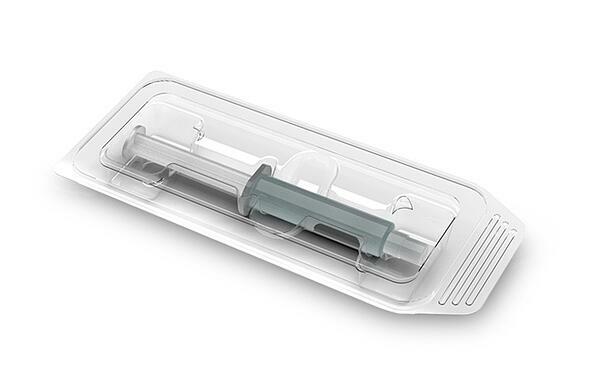 Thermoformed packaging—while always an effective vehicle for selling product at retail—also offers medical device manufacturers a sterile, functional, and cost-effective medium for protecting and distributing products. As a custom and nimble thermoformer with an established and effective quality-management system, Dordan has the opportunity to move into this market through strategic investment in technologies, equipment, and talent. Visit Dordan Manufacturing, Inc. at PACK EXPO International, booth E-7514, for more information about its ISO Class 8 Cleanroom and medical device packaging solutions, coming spring 2019. Register for free for PACK EXPO International with Dordan's complimentary code. Click here for the code.